To walk through the Forum in the steps of Augustus, Constantine, Caesar, Hadrian and all the great emperors of Rome is an humbling experience. Rome's churches are in a separate gallery, but the rest of central Rome that I saw is included in this quick glimpse. 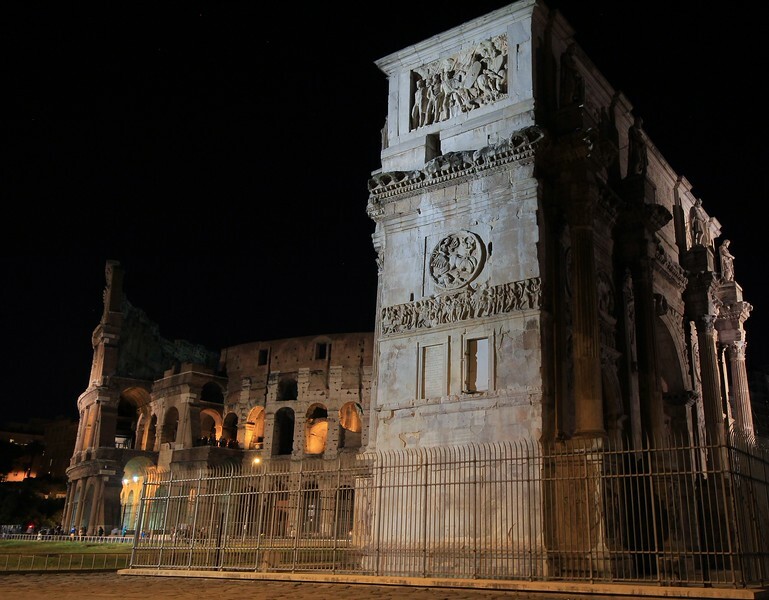 The Constantine Arch is the nearest ancient structure to the Colusseum.